What is a Viking without his axe? 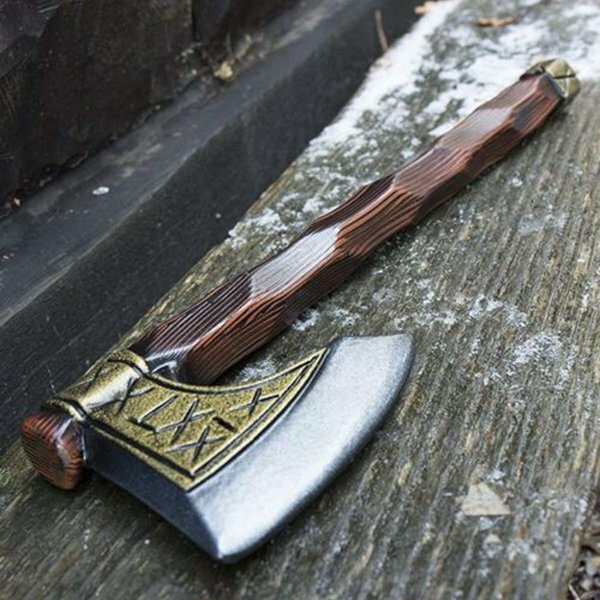 In addition to your sword you always bring your axe on your tracels so that you can quickly throw at an enemy during battle. 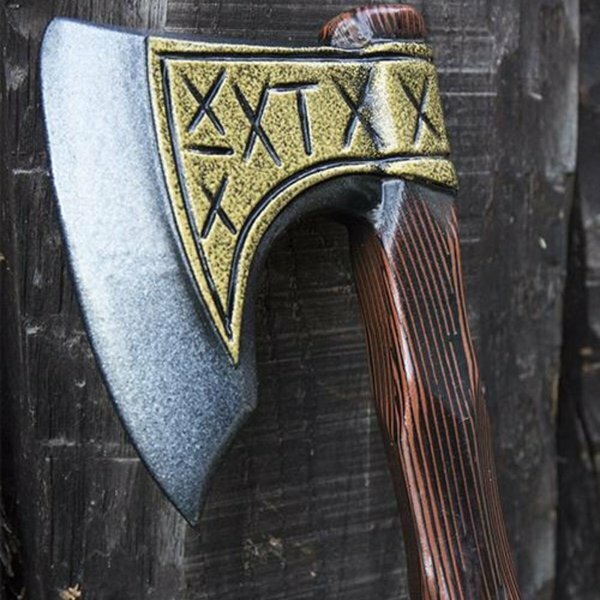 This axe has protective Runes so Thor gives you extra power on the battlefield. 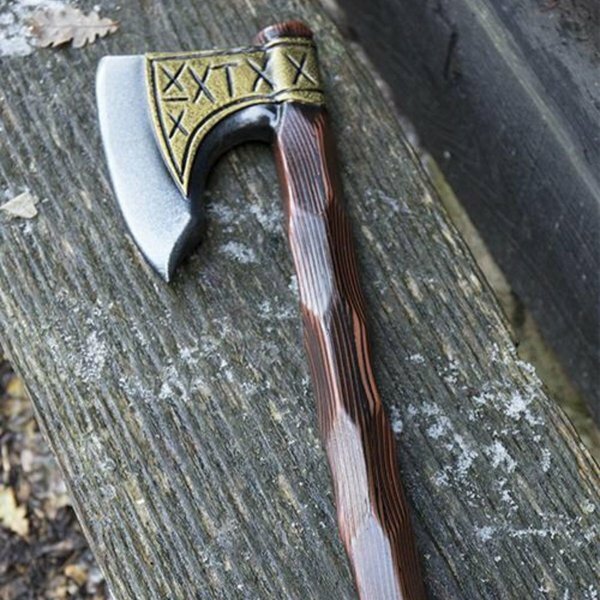 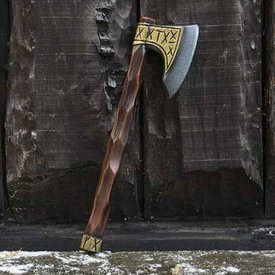 This LARP axe is made in a realistic way so that it really looks like wood and steel. 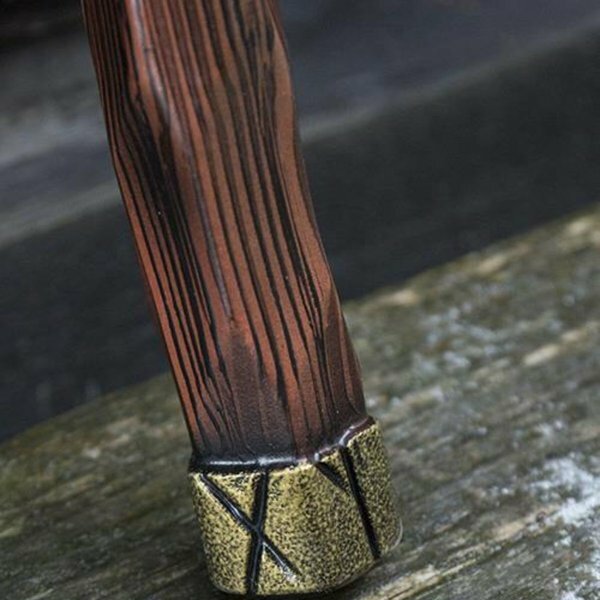 It has decorative brass colored bands with fantasy Runic motifs (these have no historical significance).